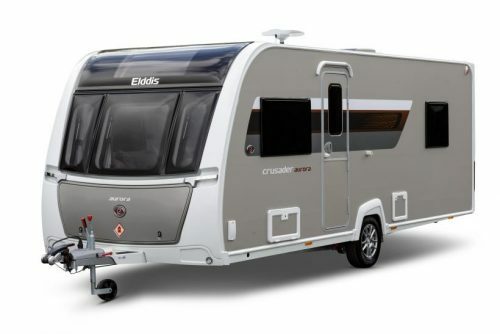 The multi-award-winning Elddis Avanté is a modern and contemporary touring caravan, comprehensively providing everything you need in a lightweight and versatile range. All Elddis Avante models have been awarded Grade III Thermal Insulation for safe and comfortable touring in all weather conditions. 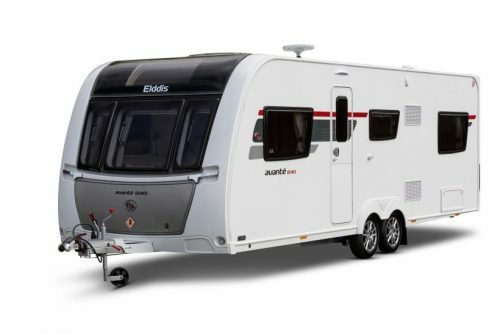 All Elddis Avante models come with European Whole Vehicle Type Approval. 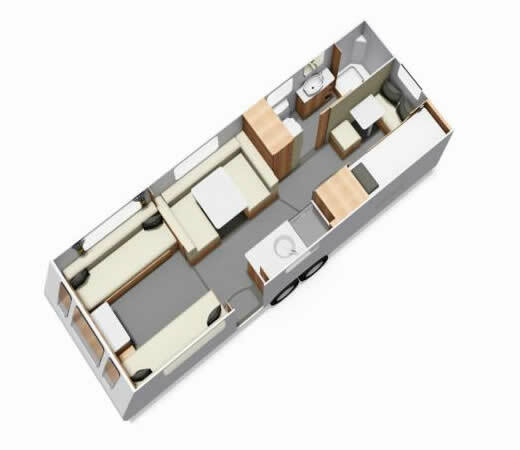 A deceptively spacious 2-berth model. 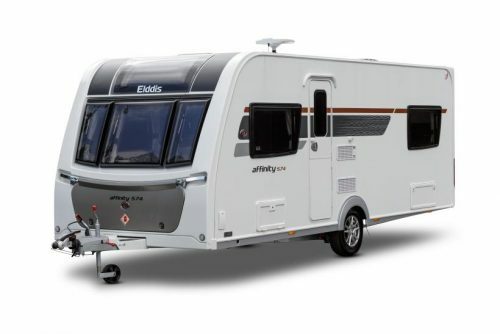 Lightweight and easy-to-tow, yet tardis-like inside! 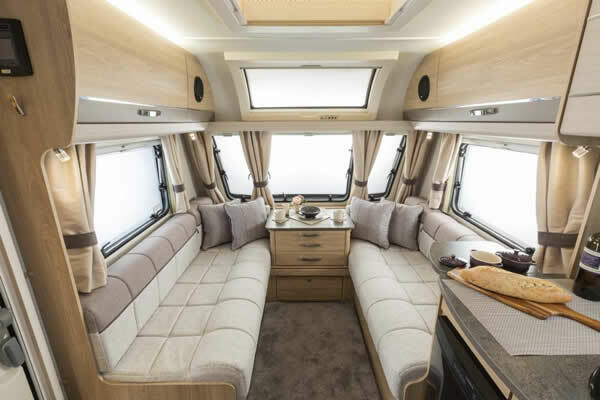 The roomy lounge converts into a large double bed, with a fully equipped side-bathroom and a well-equipped, beautifully-lit kitchen and dresser spanning the rear of this nifty model. The Avante 550 is a great lightweight island bed single-axle model. 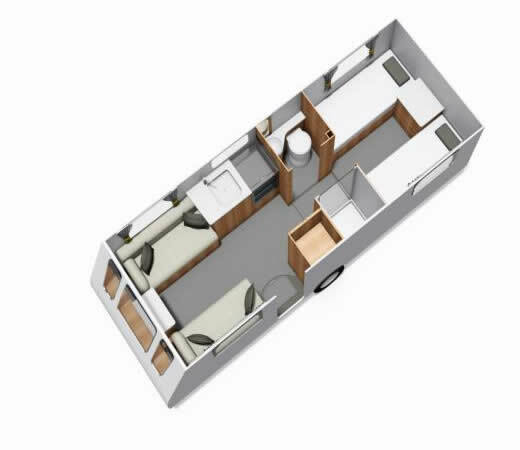 This model features a separate bathroom and shower cubicle amidships, which can be sectioned off to create en-suite facilities. 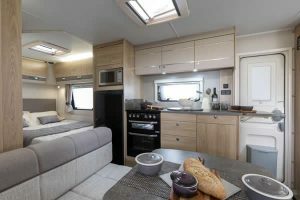 The Avante 554 is a hugely popular single-axle layout with retractable transverse fixed island bed and rear bathroom. 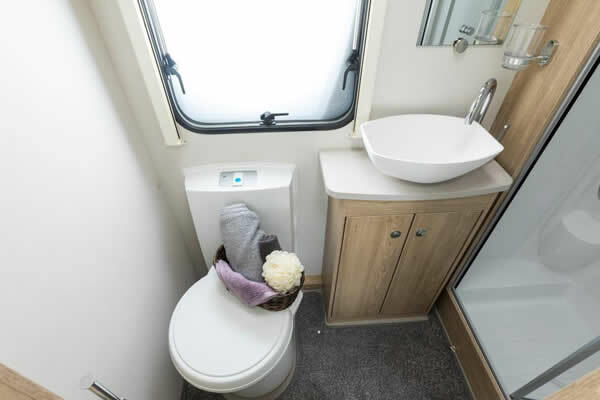 The Avante 554 features a beautifully stylish and spacious end-bathroom/ dressing area. 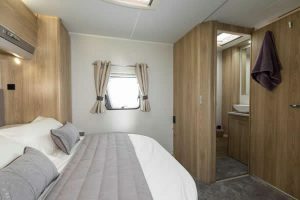 With sumptuous single beds at the rear and a centrally-located bathroom, this new layout works equally well for couples and families. The central bathroom can be sectioned-off to create a couple’s en-suite or a family bathroom amidships. 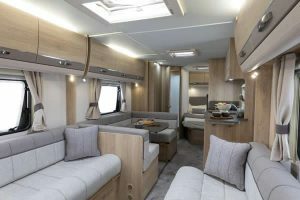 The Avante 586 will really appeal to families. 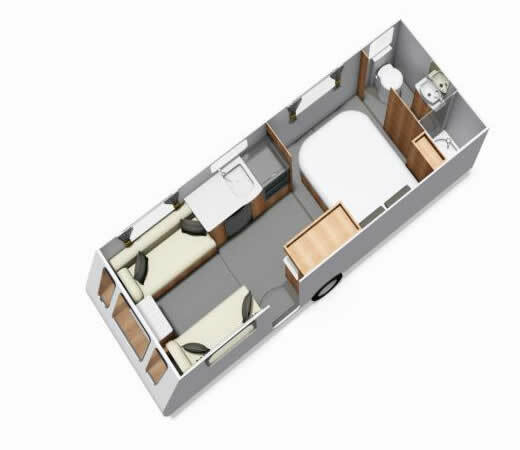 The rear of the caravan boasts fixed bunk beds, plus a sizeable corner bathroom/dressing area. 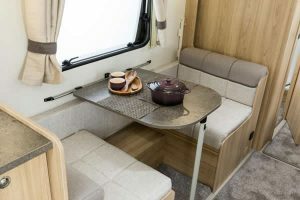 Opposite the family kitchen you’ll find a side dinette which converts to a single bed with lift-up bunk. 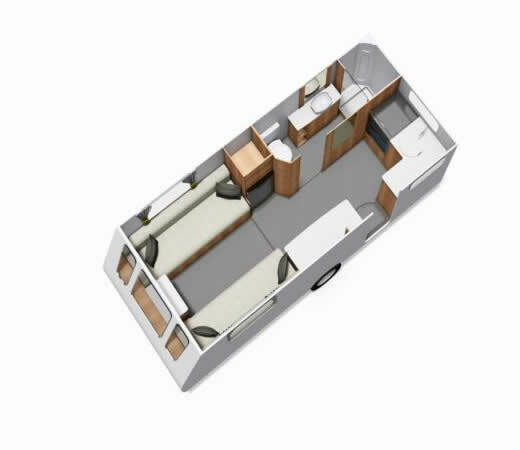 And up-front the large lounge area converts to a super-size double at night. 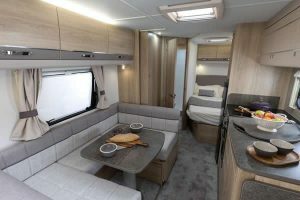 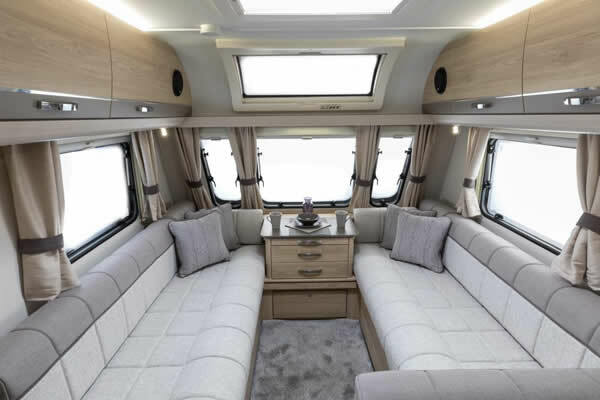 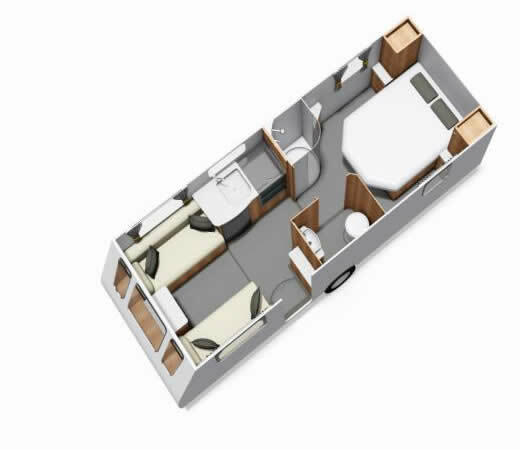 The 8ft-wide Avanté 840 layout features rear ‘French’ bed and incomparable lounging space, providing an all-new option for couples and families. 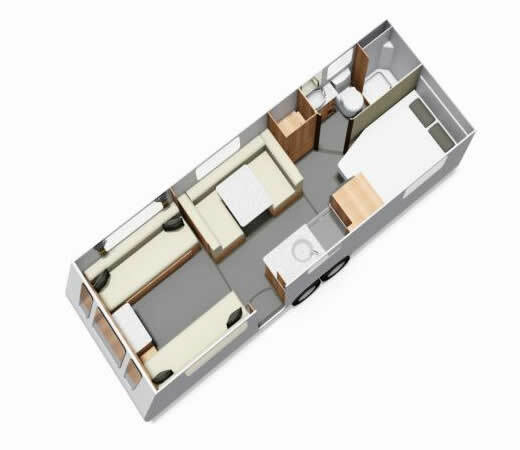 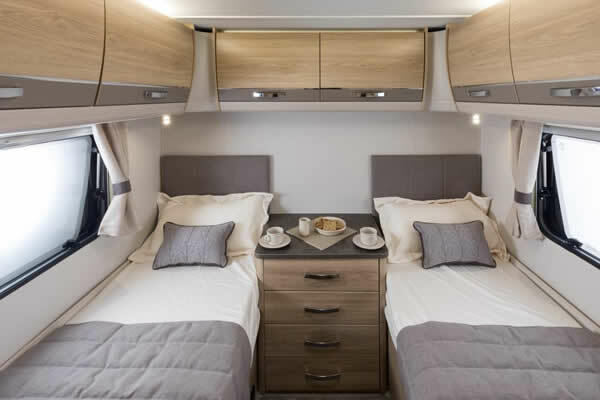 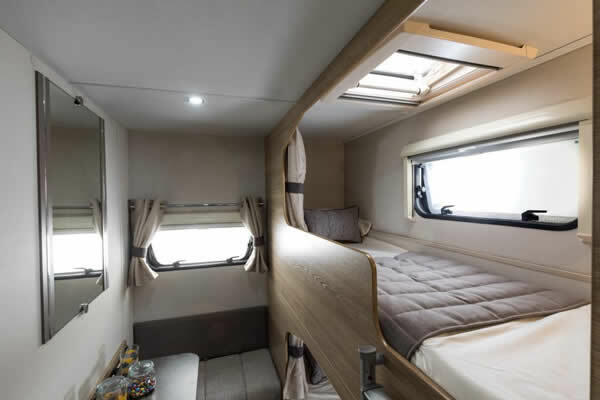 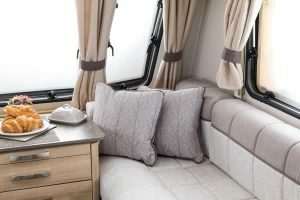 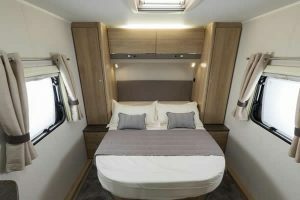 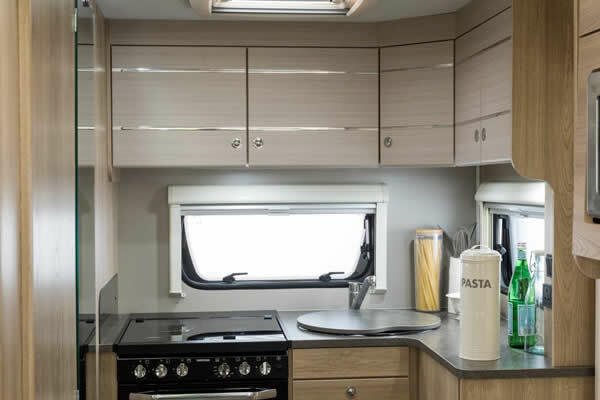 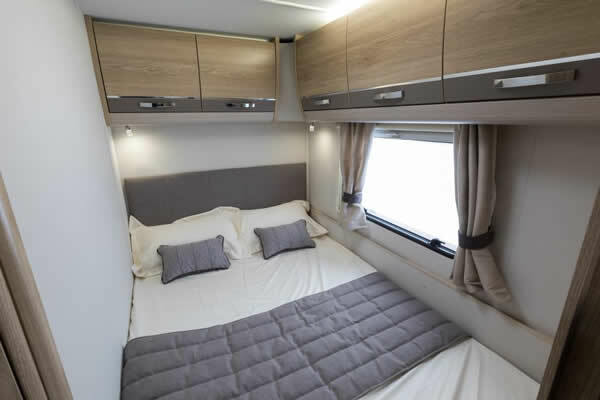 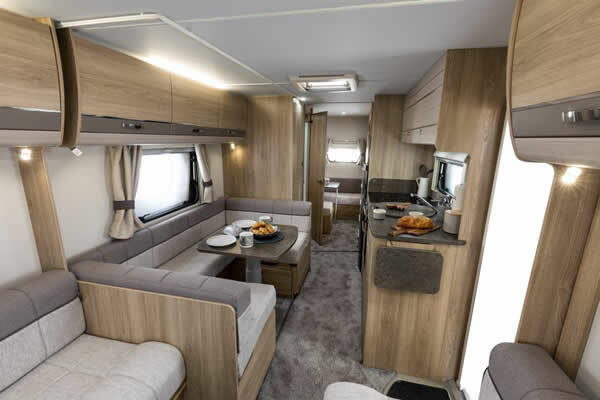 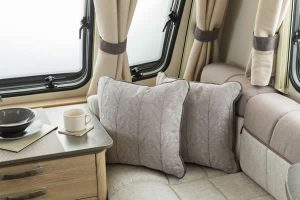 The 8ft-wide Avanté 860 layout features a bright and airy rear bedroom, with transverse, retractable bed – separated from the vast living area by the shower room and vanity – which can be used either as a couple’s en-suite or a family bathroom. 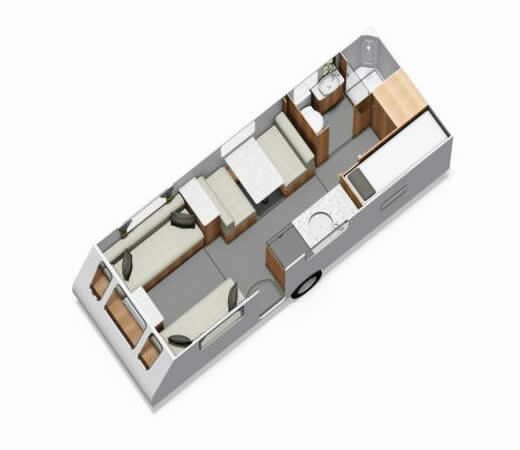 The 8ft-wide Avanté 866 layout features family-friendly children’s zone to rear, complete with bunk ‘Pods’ and dedicated café-lounge / play area.